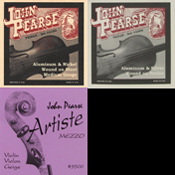 John Pearse strings are made in 3 types. The Artiste set has a Perlon core, similar to Dominant and other popular synthetic core brands. They also offer a second Perlon core set, at a lower cost. 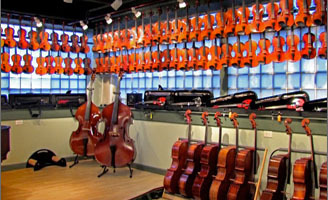 The Fiddle strings have a solid steel core, similar to Prim. 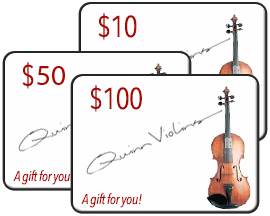 They are ideal for folk music style playing.